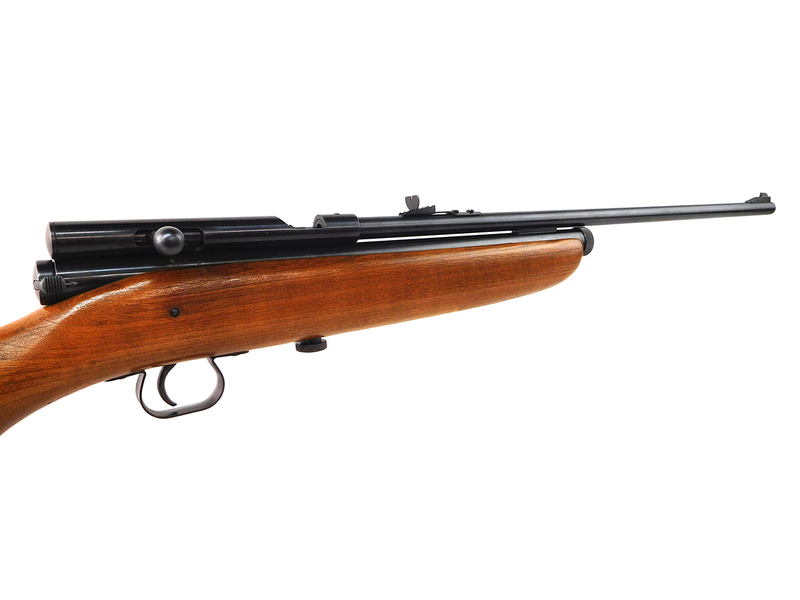 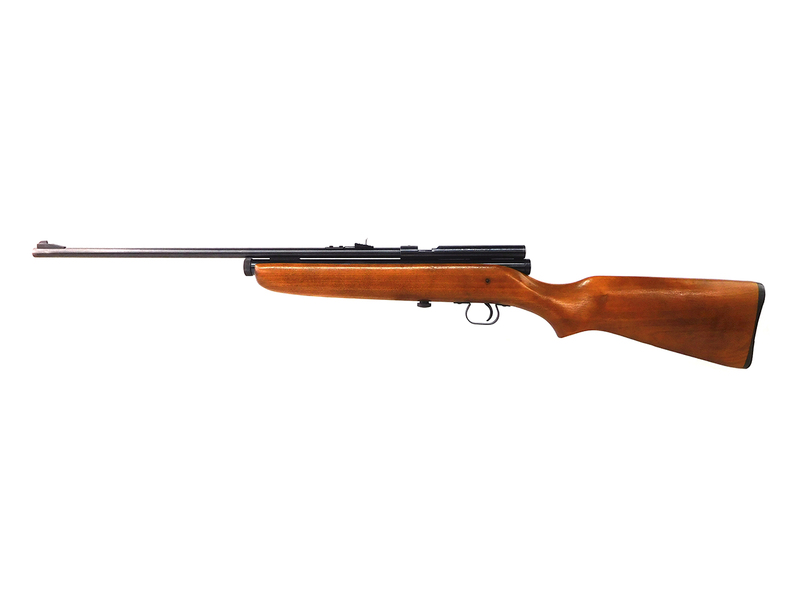 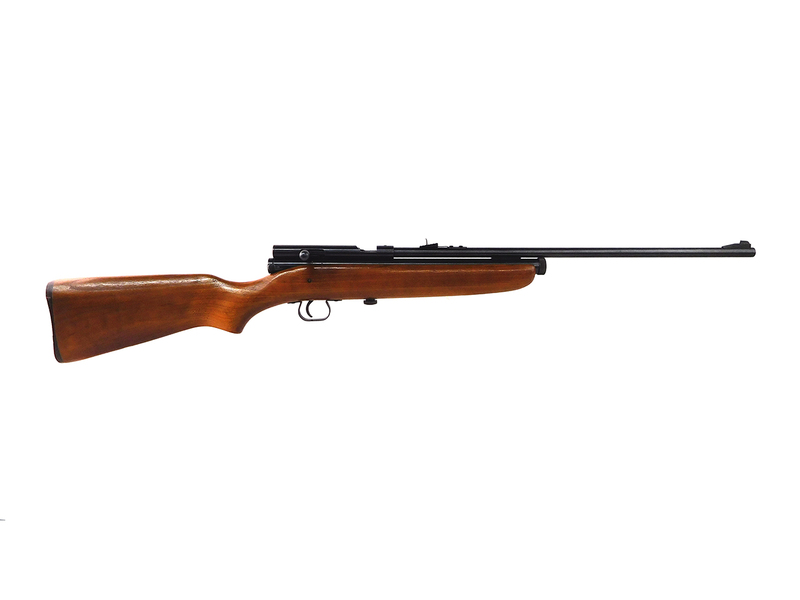 The Crosman 167 is a .177 caliber, CO2, bolt action, single shot pellet rifle. 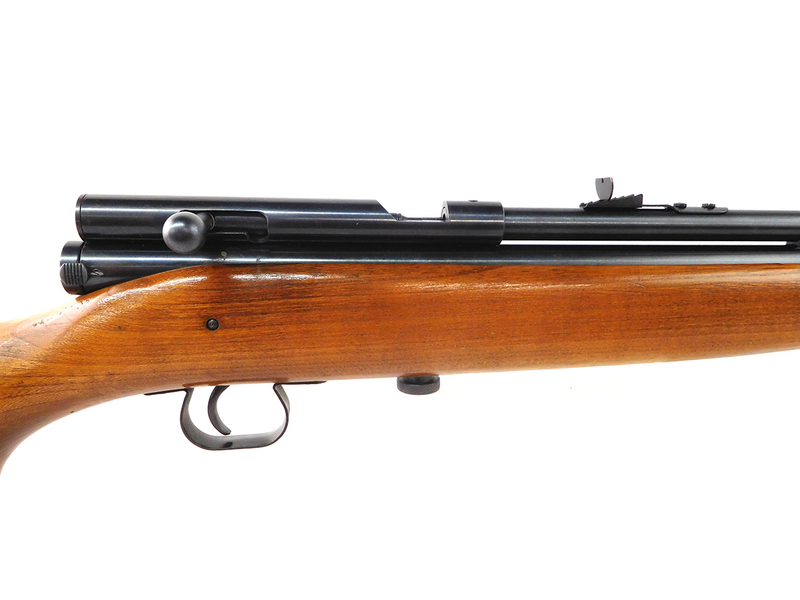 This is a 1st variant which has a steel safety and no barrel band. 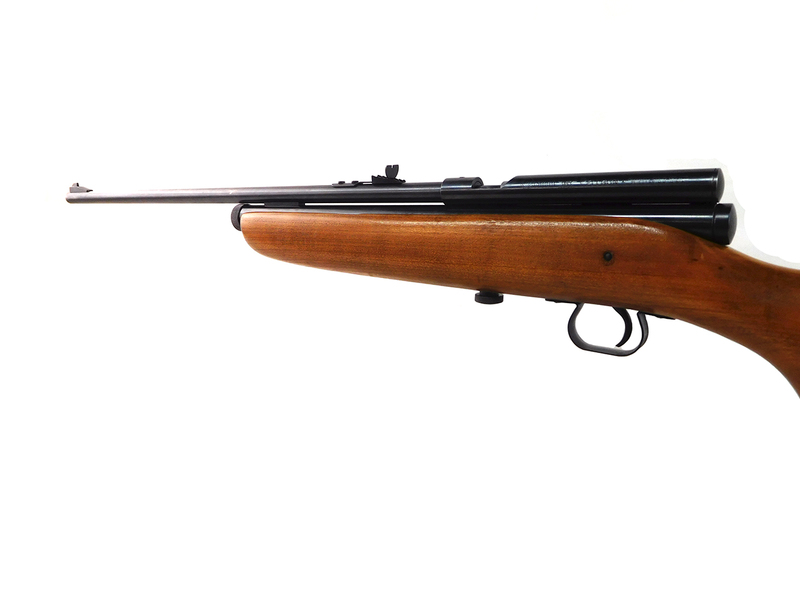 This variant was manufactured in 1956. 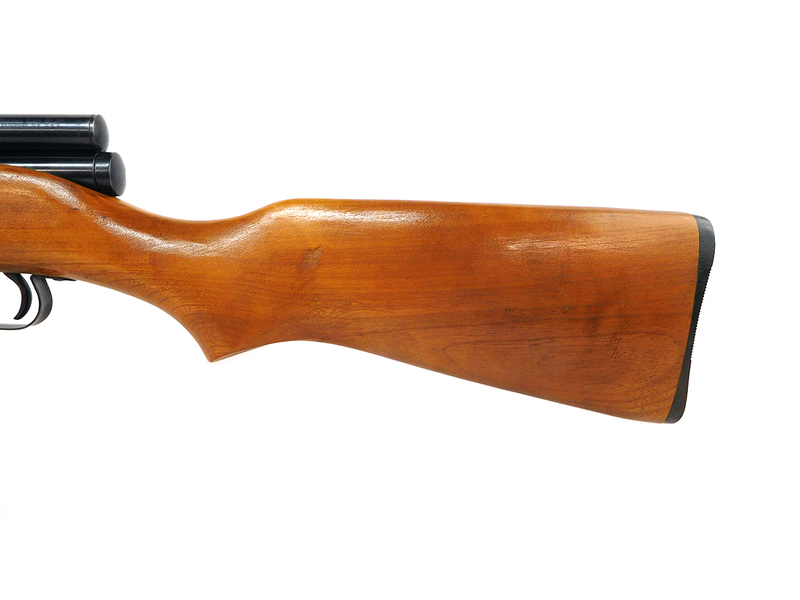 The wood stock is in good condition with only minor wear and may have been refinished. 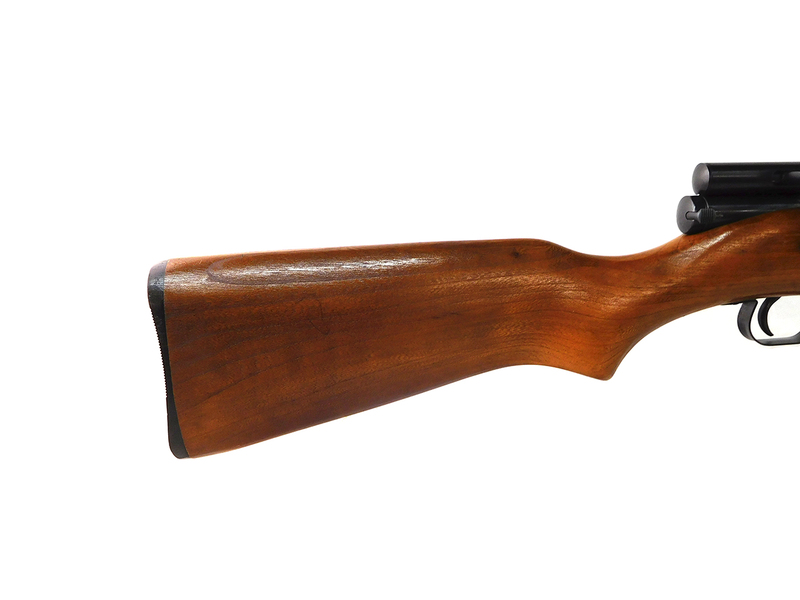 The metal retains at least 90% of the blued finish.